Alabastrite. 4" x 3 1/2" x 7 1/4" high. 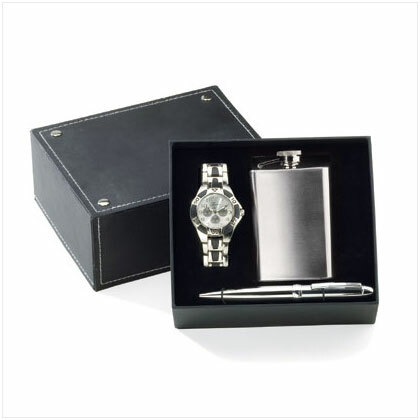 in its own stylish gift box. 6" x 7" x 3" high.